The movie made famous the real quote uttered by Mather Byles, Cotton Mather’s grandson, to Nathaniel Emmons in Massachusetts. The point of the quote was a very real issue of where the power of a representative republic truly lies. In a monarchy, it was assumed all power was with the royal family. Of course, monarchies do not exist without their own power structure, so that is hogwash. By instituting a true representative republic, our founding fathers took a huge gamble on how our political structure would evolve and survive. I think it is safe to assume they had no idea of the goliath America would become in elected representation through the sheer number of officials. Have you ever thought of how many local, county, state, and federal elected officials there are in the US? The best data I could find was from 1992 that stated the US had a total of 510,497 popularly elected state and local elected officials. Not sure if that included county officials or not. When you think of all of the offices that can be elected from School Board on up in every village, town, city, county, and state in the nation, I think it is a safe estimate that we have over 500000 elected officials in total in the US of A. That means we have over 500000 people who can do their job and serve the public or allow their elected position to make them behave as tyrants. It is a fine line between the two. The reason I bring this up is to make a very eye-popping point of the conservative battle we are in and the numbers we have to recruit, fund, help with campaigns, and then be sure we don’t elect the next tyrant to be. The liberals began to take over the nation over 80 years ago and they began at the lower rung in politics – local elections. They were shrewd in their methods of who and how they recruited. Then they went after the county offices and then the state assemblies. Friends – when you control and run the local to state machine, you can and will control who goes to DC. Barry would not be at 1600 Pennsylvania Ave right now if years of setting up the local, county, and state machines had not been in place. If you ever want to see a real power struggle, go attend a County Commissioners Court or your City Council meetings. That is where the wars are fought and won over the local freedoms (or lack thereof) afforded to Joe and Jane Citizen. As we enter into primary season, the most attention is always given to the federal elections. Those are important – but do not ignore your local, county, and state elected officials. It’s not 3000 tyrants 1 mile away…..
It’s over a half million of them…. The past few weeks have been filled with Obama’s Judicial Injustice Generals in the Federal Court system wreaking havoc on the wants of the voting citizen. The 2010 Elections saw a wave of conservative votes ringing through at all levels in America. We wanted change and we made elected results. And the Liberals have been busy working to wreck the results ever since…. And the Injustice Generals have been there to help the liberal cause….. Need an example, you say? Why this can’t be in Obama’s America you say??!! Lets look at the garbage being perpetrated against Texas voters first. When the 82 Texas Legislature was voted in during the November 2010 Elections, the State of Texas saw its first supermajority for Republicans since Reconstruction. Why? Because the state is a Republican Majority by those that actually get off their rump and vote. The Republican dominated Legislature had the responsibility of drawing new voting maps. As has been the practice since folks have been voting in this state, the party in power has drawn the lines reflecting the electorate that put them in office. The Democrats did it for generations and crushed anyone that got in their way. Republicans dare not complain about the lines during those times. But times have changed…. This battle really began back in 2003, after the 2002 General Elections when Texas saw it first Republican Majority in its State House. Not a supermajority, but a majority nonetheless. One of the first issues that body undertook was to restore some balance to Texas State and Congressional Representation. Even though the state had been trending more and more Republican since Reagan, Democrats still ruled the roost in representation on the state and federal levels because of voting maps. Well, that was about to change as the 77th Texas Legislature made re-districting a primary objective. The state Democrats were out numbered and knew it, but rather than stay and argue, debate, and fight (even if in a losing effort) they acted like the cowards they were and headed to Oklahoma. You may remember it back in 2003, here is a little excerpt from CNN: http://www.cnn.com/2003/fyi/news/05/14/texas.legislature/ The Dems shut down the whole legislative process and cost taxpayers millions. Did they care? Not one bit. They were on the verge of being arrested and prosecuted when they came back to Texas to face to votes that changes the voting maps. That change began the process of Texas getting some Republican representation in Congress. Notice I did not say conservative representation. Some of what was elected were good people and others have been worthless. You will recall that Wisconsin State Senators attempted the same “walkout” in 2011 when they were going down in flames legislatively as well. That did not work either. The libs took notes in Texas and Wisconsin and realized that these pesky voters were getting in the way of their agenda and just walking out was not going to work. Judge Beryl A Howell – appointed by Obama (oh Lord…) in 2010. Lawyer because Barry O loves them with zero judicial experience prior to the appointment. Rather obvious she is a liberal Dem. A fine example of appeasement by conservatives by not even putting up a fight on her nomination. Reminds me of Elena Kagan…..
Judge Thomas B Griffith – appointed by Bush in 2005 and was the Senate Chief Counsel prior to appointment. A long and sturdy legal career gives some notion that these proceedings might stand a chance. Judge Rosemary Collyer – appointed by Bush in 2002 and is the skunk in the punch. She has a long legal career and one that is definitely tilted against how Texas politics are done. She was General Counsel for the NLRB for 5 years before going back to being a DC lawyer. She issued a ruling last month requiring 4 border state gun shop owners to report multiple sales. Hmm, do not remember that being in the Constitution… She also has the Texas Voter ID Bill on her desk and has made public comments. She has been openly critical in court of how Texas judges were elected. Do you think she will be “fair and balanced”? Baloney! Collyer is an example of what conservatives get when we try to appease Dems for judicial appointments. She was appointed by both Reagan and Bush 43! She will continue to haunt conservatives for years to come, so remember her. 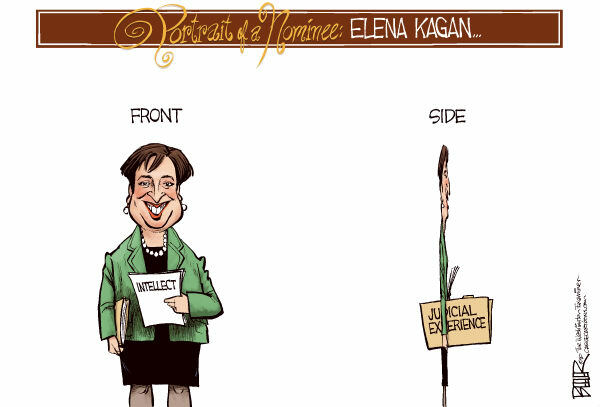 Remember her the same way you remember “Supreme Court Justice Elena Kagan”. These judges completely threw out the maps drawn by the Legislature. However, Texas AG Greg Abbott appealed the decision to the Supreme Court and they slapped these judges on January 20, 2012, making them come back to the table with the State of Texas. Now the state is in a total voting mess over this. We have no set voting maps because of these zealots and may not have in time to have a unified primary. The Texas Primary has been moved around several times and now may occur at the end of May, just a week before State Conventions. This has candidates in a total state of disarray. In the end, the Dems are going get what they wanted – 2 of the 4 new Congressional seats in voting maps. This despite a 3 to 1 ratio of how the votes are falling in the state. California put this controversial prop on the ballot for 2010 and got it passed by the citizens of all races, creeds, and political party lines. The majority of Californians, regardless of how nutty we think they are, did not want gay marriage and ponied up to the plate and made it law. However, that was not sufficient for gays in the Sunshine State to listen to the majority of voting citizens. The liberal law machine got into high gear to get it ruled un-Constitutional. Well, the infamous 9th Circuit Court of Appeals granted their wish on February 7, 2012 declaring the law a violation of the Equal Protection Clause of the Voting Rights Act. This is going to go to the Supremes, who will have to hear this and decide if the federal government should be involved in state issues. This is going to be an epic issue of states rights under the 10th Amendment and could usher in a reinforcement of states rights by vacating the 9th Circuit Court. Of course, if the Supremes grab rights away from the States, it will impact how the States make laws from now on. Then the question will be if there really are any States Rights anymore? Under the current Court, conservative principles stand a chance. However, if this goes beyond 2012 and the Man-child should steal the election…..